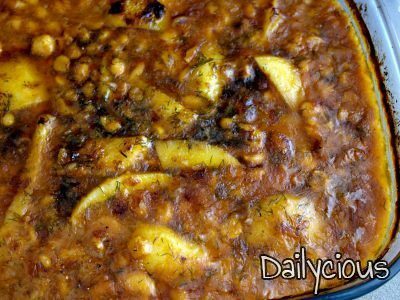 This dish is made with various legumes like different kind of beans, chickpeas, and lentils, normally found in every Greek kitchen. Legumes are cooked in tomato sauce with dill, topped with potato wedges and oven baked in order to get that crusty layer at the top. It’s healthy and it is pure Mediterranean cuisine good for the whole family. Give this recipe a try! 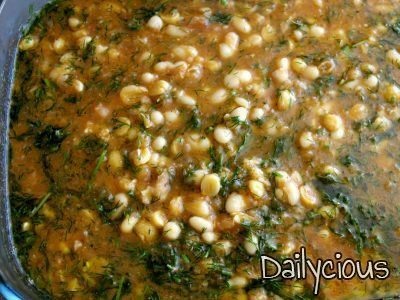 Cover all legumes in water and soak overnight. Wash legumes the next morning with plenty of water. Drain and place legumes in a pot adding the 1,5 litre of water. Simmer for 1-1,5 hour until legumes begin to soften (be careful not to over boil them). 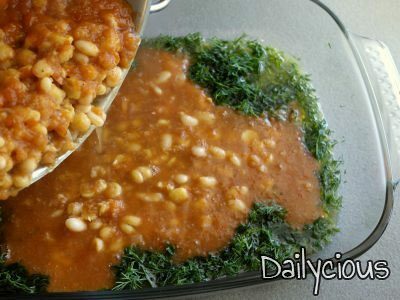 If using lentils –which need less boiling time- it’s better to boil them separately and mix them with the rest of legumes before placing in the oven. Add the blended tomatoes and tomato paste, bring to the boil and simmer for 30’ more. 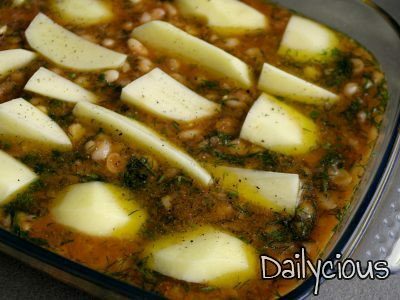 Place the oil, the chopped dill and the pinches of sugar in an ovenproof dish. 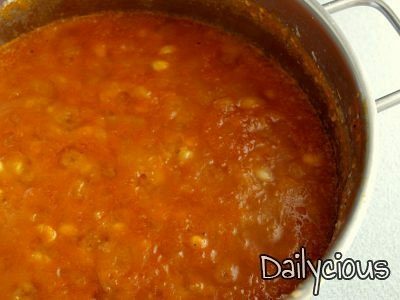 Add the legumes in the tomato sauce. Generously add some salt and pepper and top with the potato wedges. Shake the dish so the potatoes get covered with the tomato sauce and place in the oven. Bake for 50’ or until the potatoes are softened and the tomato sauce has thickened. In order for the beans not to cook dry add some boiling water if needed. 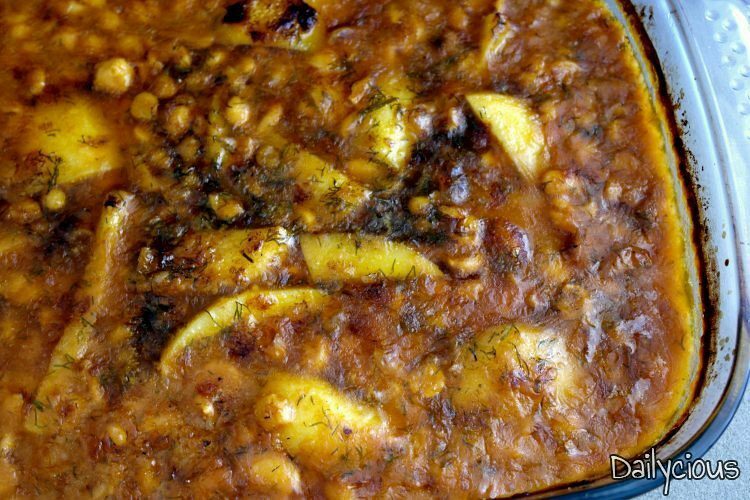 Serve and enjoy the oven baked legumes an hour later.